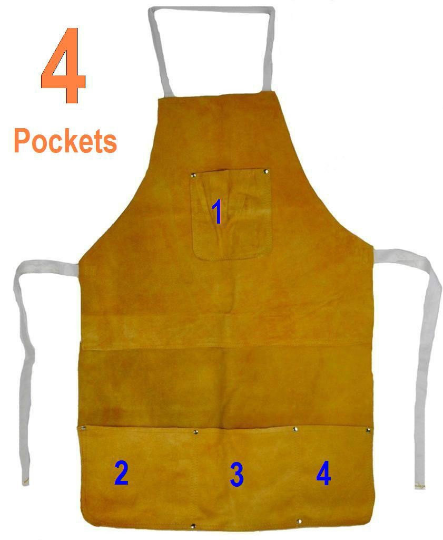 Leather Welding Apron - Wood carving, Woodburning, Keeps you safe. This welding apron protects you and your clothes from hot sparks as you weld, cut or grind. The leather apron has double stitched seams, adjustable straps for a comfortable fit and four pockets to keep your supplies on-hand. This welding apron is a must for any welder’s safety!